Hobo style bag with gold bauble and tassle detail. 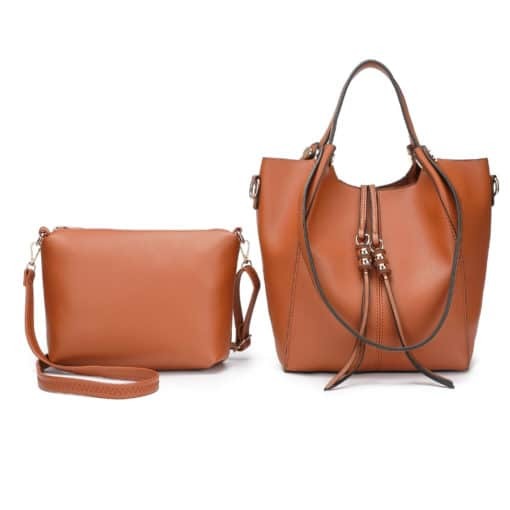 This bag has short, medium, and long straps. 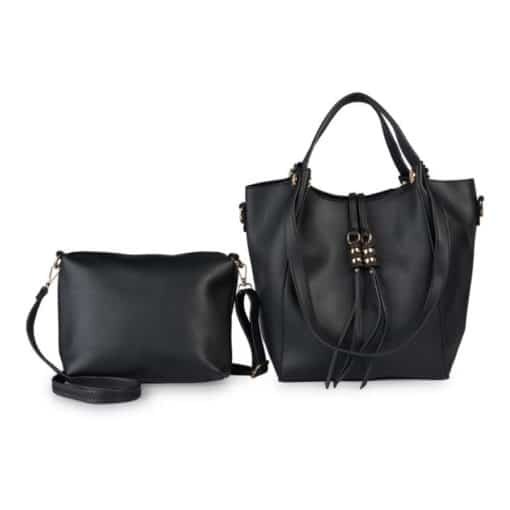 It comes with a smaller crossbody bag which has a pocket with zipper and a cellphone pouch.